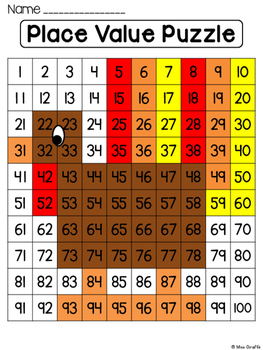 Thanksgiving math: Thanksgiving math turkey fun! 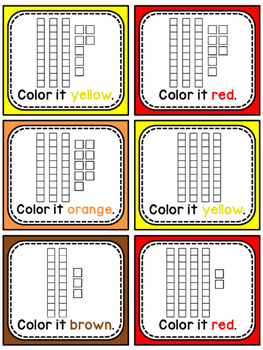 An engaging 100 chart place value puzzle Thanksgiving math station for November fun where students use 67 mini task cards to identify and color numbers on a 100 chart that are represented by base 10 blocks. When they're done, they'll reveal a turkey! This is a fantastic way to get students to practice identifying the base 10 representation of dozens of numbers in one sitting in a fun way! This is a great activity for Thanksgiving time. 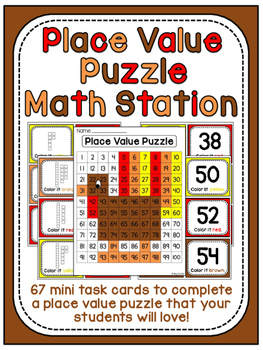 Save a bunch by getting this in the Place Value Puzzles Bundle! You can also grab this in the Thanksgiving Activities MEGA BUNDLE! 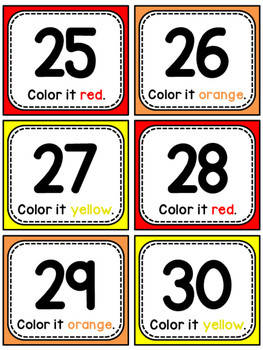 Simply print, cut out, and throw these cards in a baggie and it's an instant math station! These are a perfect way to keep your students super engaged and quiet while practicing an important skill in a fun way so you can pull math groups or whatever you need to do. These are also great for fast finishers! "You're done? Go grab a bag and a 100 chart!" I also have this in Spanish! Thanksgiving Math Stations and Activities Pack for more great Thanksgiving themed math stations!